What are your favorite JRPG battle themes? This past weekend, I had a lot of errands to run so I uploaded some of my favorite JRPG OSTs. One of the tracks I found myself humming over and over was the Chrono Cross battle theme. Battle themes are an integral part of what makes JRPGs so special. I mean, can you imagine some of your favorite JRPGs with bland soundtracks? The composers are tasked with writing songs that we as gamers will have to listen to hundreds, maybe thousands of times through the process of grinding without getting tired of hearing the same track repeatedly. There has to be that perfect balance between rhythm, texture, melody, structure, and the parameters of composition that also fit in with the type of battle system the designers have created. Likewise, expanding the idea of music cognition, part of what makes the music so catchy is how intertwined it is with the experiences we have playing them. This got me thinking, if I had to compile a track list of my favorite JRPG battle themes, what would they be? Here’s my list and I limited myself to one battle theme per franchise and no boss music as that would make this list way too long. Let me know which ones I’ve missed or which other ones I should check out! 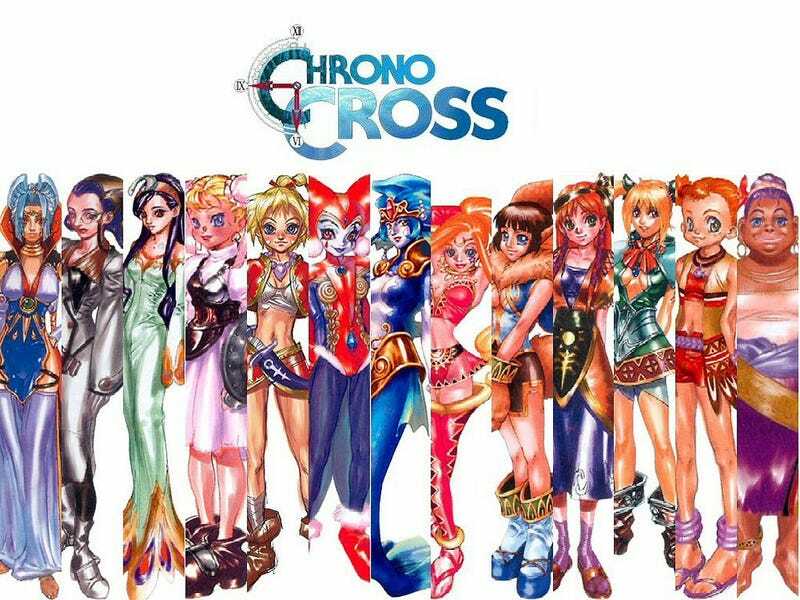 Chrono Cross: Chrono Trigger and the Final Fantasy games had arguably the best soundtracks on the SNES. In Chrono Cross for the PS1, Yasunori Mitsuda took the music to another level. The soundtrack was an eclectic mix that was influenced by Mediterranean, Celtic, and percussive African themes. There were even alternative themes between the parallel dimensions, reflected in the darker and lighter tracks that accompanied both worlds. This battle music was what inspired this list in the first place so it comes first. Grandia II: Grandia II was one of my favorite JRPGs and the battles were incredibly fun. In fact, in all my JRPG experiences, Grandia II was probably my favorite with its mix of turn-based combat that also incorporated real-time action. Timing was essential and the music, composed by Noriyuki Iwadare (who also composed the music for the Lunar series, Ys III, and the recent Kid Icarus: Uprising) with its electric guitar pulses made me actually look forward to each fight. The plot also reminded me of Final Fantasy X in many ways with its themes revolving around religion, though I played this one first. Final Fantasy Mystic Quest: While I wasn't the biggest fan of the game, I loved the music composed by Ryuji Sasai and Yasuhiro Kawakami, particularly this catchy battle theme. Final Fantasy VIII’s "Man with the Machine Gun" and the FFX battle theme were also awesome (and remember, no boss battle music, as that would unleash the flood gates). But Mystic Quest won out in my head and my beating foot step. Phantasy Star II: I can’t think of a game where I spent more time grinding through battles. This was by far the most difficult Phantasy Star of the original four and the theme, "Rise and Fall" by Tokuhiko Uwabo, was an integral part of that experience. Fighting to the backdrop of a 3D grid a la Tron, it was also some of the best animation/graphics I’d seen in a JRPG battle sequence. PSII also marked the first time I saw the death of a main character in a video game and I still feel the mental scars. Romancing Saga: Kenji Ito has done incredible work in both the Saga and Mana series. I haven’t loved the Romancing Saga as much as some of the other Square Enix franchises. But this battle theme was pretty awesome. Dragon Quest 8: Koichi Sugiyama started off composing for animated pictures and films including Godzilla vs. Hedorah. Ever since he wrote into Enix as a fan expressing his admiration for their games, he’s composed the music for every Dragon Quest game. The music in the series has never garnered the attention and admiration Final Fantasy has. But it’s still beautifully melodic and this new iteration of the battle theme rendered in symphonic bombast is another amazing entry into an amazing series. Persona 4: I struggled between Persona 4 and 3, much like I struggled between which one I liked better in general. Both are so damn good and I can’t wait until 5 comes out. "Reach out to the Truth" won out by a slight margin over "Make History" (the new battle theme in Persona 4 for the PS Vita) and the jazzy beats of "Mass Destruction" from Persona 3 though both could easily be included. Peter Tieryas blogs at tieryas.wordpress.com and is on twitter at @TieryasXu.